The National Weather Service has issued a heat advisory for much of western Oregon and southwest Washington for the Labor Day weekend, with temperatures possibly reaching 100 degrees in some places. The August heat set records in Portland and Salem. It was especially brutal for people who work outside. Oregon's workers compensation firm, SAIF, reports it received more than 30 heat-related claims in August this year. 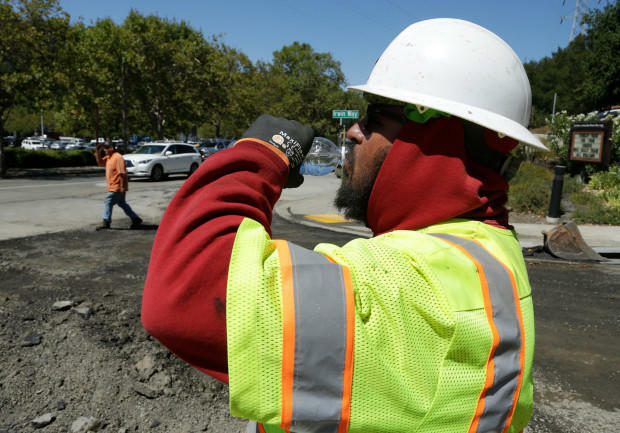 "We see things like heat cramp, heat stress, and more seriously, heat exhaustion," said Ben McCormack, the senior safety management consultant at SAIF Corporation. McCormack said jobs that typically produce the most heat-related claims include, "laborers, roofers, and carpenters. But jobs like firefighters and truck drivers are impacted by the heat as well." With some companies still reporting data for the month, SAIF said Oregon workers have already exceeded the total number of claims recorded in the last two Augusts, combined. "We recommend that employers make sure to allow that employees are able to take frequent breaks in a cool and shaded area," said McCormack. He said workers in areas experiencing wildfire smoke should take extra precautions. SAIF is also urging employers to limit outdoor work to the coolest parts of the day, if possible. Hot weather is expected to continue through early September.